Has America FINALLY hit ‘peak pumpkin’? More than a decade after Starbucks helped make “pumpkin spice latte” a household name, there is some evidence that “peak pumpkin” may finally be coming to restaurants. The country’s 500 biggest restaurants launched just 45 pumpkin flavored limited-time offerings, such as Dairy Queen’s Pumpkin Pie Blizzard Cake or Krispy Kreme’s Pumpkin Spice Doughnut, from January to September. That’s down 61 percent from 116 a year ago, according to data from Technomic. “Although many consumers are still interested in pumpkin spice, recent years have shown heavy saturation with beverages and although the flavor is likely here to stay, the growth of the trend is starting to flatten showing we have reached maturity,” wrote Darren Tristano, executive vice president at Technomic, in an email. Overall promotions are shrinking as well, falling 11 percent as operators adopt a “less is more” attitude borrowed from fast-casual restaurant hits like Shake Shack and Chipotle. At the retail level, growth is also showing signs of slowing. 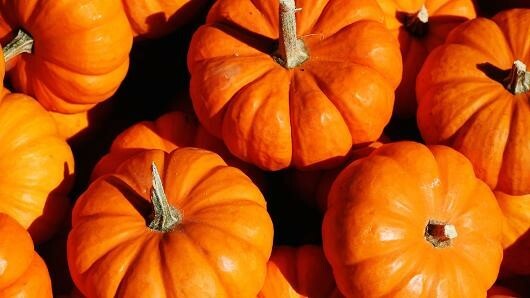 For the year ending July 26, sales of pumpkin-flavored items rose 11.6 percent, the slowest growth in at least three years, according to Nielsen data. Declines in pumpkin-flavored coffee, milk and frozen waffles, pancakes and French toast were especially steep. Still, pumpkin-flavored item sales remain a large market, clocking in at $360 million at retail outlets, including grocery and convenience stores. So if pumpkin has reached saturation, which seasonal item will start to take share? This is difficult to predict, Tristano says, adding it’s possible other seasonal flavors like gingerbread, molasses, peppermint or eggnog could increase. This entry was posted on Wednesday, October 28th, 2015 at 9:25 am and is filed under Beverage, Growth, Menu, Menu Trends, Pumpkin, Retail, Starbucks. You can follow any responses to this entry through the RSS 2.0 feed. You can leave a response, or trackback from your own site.